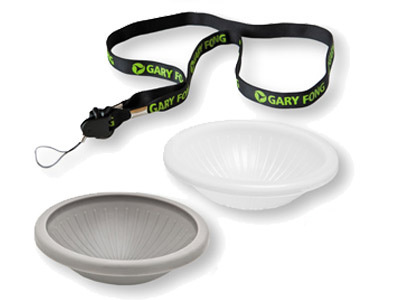 The Gary Fong Colour Reference Kit includes the WhiteDome and GrayDome along with a carrying lanyard and pocket field guide for accurate measurements in the field. The WhiteDome provides a neutral colouring for measuring incident light of the scene while the GrayDome is good for measuring reflected light and balancing colour in post production. The WhiteDome is used by placing it over your lens and letting the ambient light shine through for metering. The GrayDome is placed in the scene and provides a neutral reference for correcting your photographs. This kit also includes a lanyard for easily carrying the domes and a pocket guide for reference when you are out shooting.